Cabinet ministers have warned there may have to another snap election to end the Brexit impasse – despite the Tories being split by Europe and Labour riven by internal division. A poll in January found just 12 per cent of voters want a general election to sort out the mess. 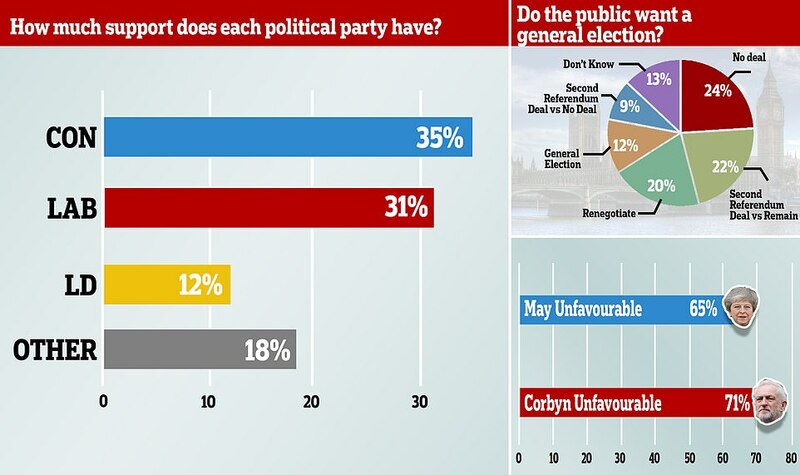 Theresa May and Jeremy Corbyn are plumbing record-breaking new depths in their personal polling – while polls show the Brexit crisis is causing rising alarm among voters who think Britain’s political ‘system is broken’. And the Prime Minister herself has admitted she will not lead her party into the next scheduled election – and yet is still facing demands to call an immediate poll. But despite the turmoil many in Westminster still think an election is the only way out of the crisis. There is a growing view that a new set of MPs that changes the balance of power in the Commons is best chance to break the impasse. 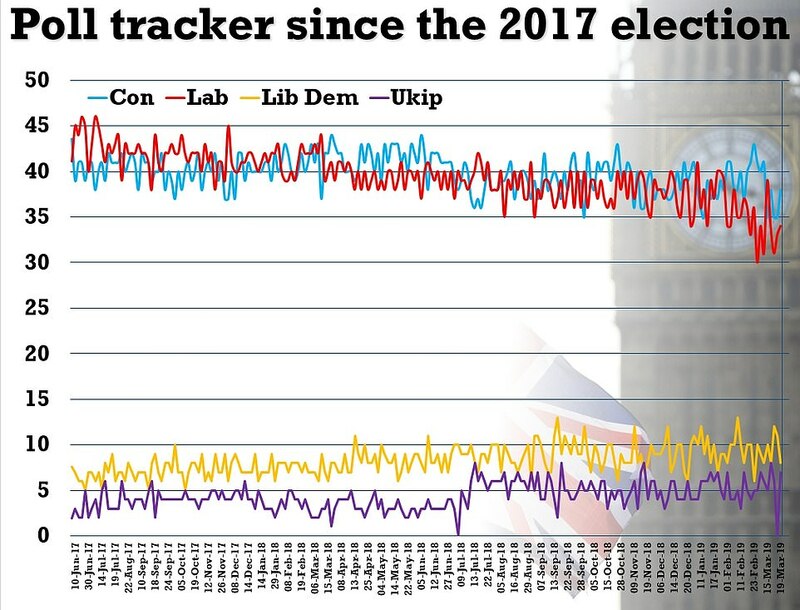 The Tories start in front – with recent polling putting Mrs May’s party on 35 per cent ahead of Labour on 31 per cent. But amid mounting public frustration over Brexit it would be a brutal campaign between divided parties and with unpredictable new contenders. Why do people say there has to be an election? Brexit Secretary Stephen Barclay warned the rejection of Mrs May’s deal would set in train a series of events that will lead to a softer Brexit – meaning an election because so many MPs will have to break manifesto promises. Last night’s Commons vote to seize control of Brexit from ministers will only fuel the demands. 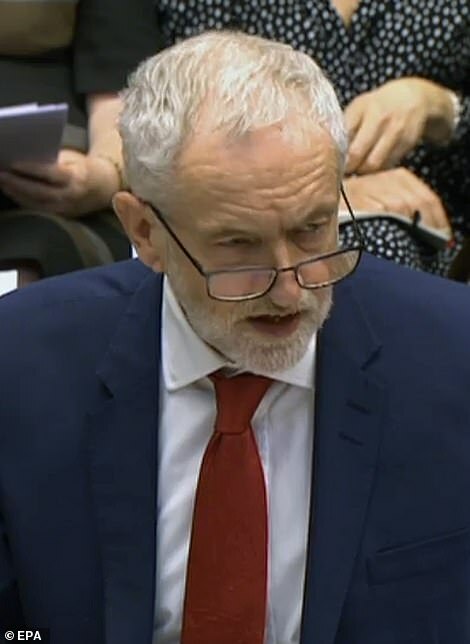 Mr Corbyn called a vote of no confidence in the Government in January insisting the failure of the first meaningful vote showed Mrs May’s administration was doomed. He lost but the calls did not go away. Brexiteers have joined the demands in recent days as Parliament wrestles with Brexit and amid fears among hardliners promises made by both main parties at the last election will be broken – specifically on leaving the Customs Union and Single Market. First – and this is what happened in 2017 – the Government can table a motion in the Commons calling for an early election. Crucially, this can only pass with a two-thirds majority of MPs – meaning either of the main parties can block it. In practice, this is can only happen if Tory rebels vote with Mr Corbyn – a move that would end the career of any Conservative MP who took the step. An election takes a bare minimum of five weeks from start to finish and it would take a week or two to get to the shut down of Parliament, known as dissolution – putting the earliest possible polling day around mid to late May. So… will it happen then? Ultimately process probably will not stop an election if the Government – whether under Mrs May or anyone else – finally runs out of road and cannot pass Brexit or its other business. Mrs May consigned the Tories to minority government when she lost seats in 2017 and the confidence and supply agreement with the DUP is in tatters. The Tories could try to drag it out until 2022 but with no majority Government will become an increasingly impossible task. Who would lead the main parties? The biggest question is over the future of the Prime Minister. While she cannot be removed under Tory party rules, her handling of the 2017 election and Brexit since has left her hated by much of her party. 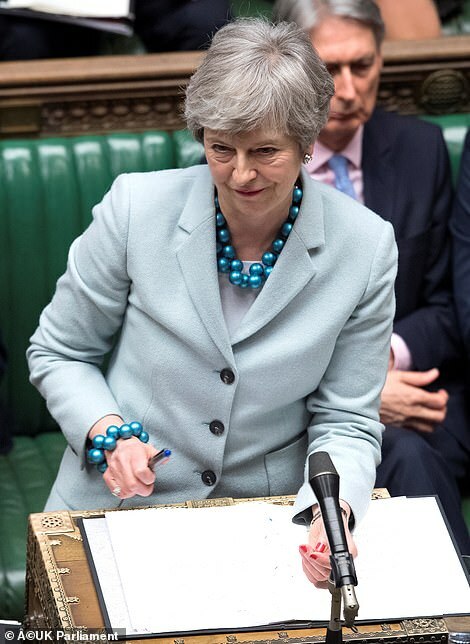 It means if she tries to lead the party into an election, the Cabinet and many MPs could publicly revolt – smashing the Tory platform at the first hurdle. 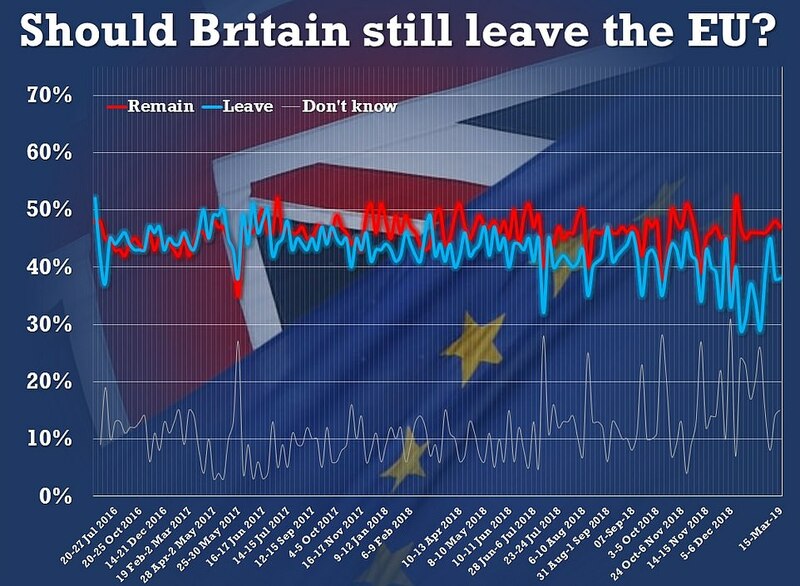 In reality, many think that before an election can be held Brexit would need to be formally delayed for an extended period – something Mrs May said last week should could not do as Prime Minister. It possibly means she will negotiate one and then resign, triggering a Tory leadership election ahead of a possible new election. Mr Corbyn appears secure as Labour leader despite party infighting and the anti-Semitism scandal. Sir Vince Cable has said he plans to stand down in May – unless there is a snap election sooner than that. Not right now because they are not yet a political party – so it depends exactly when an election is called. If they register with the Electoral Commission, the TIG could in theory stand candidates across the country and try to gain a foothold. 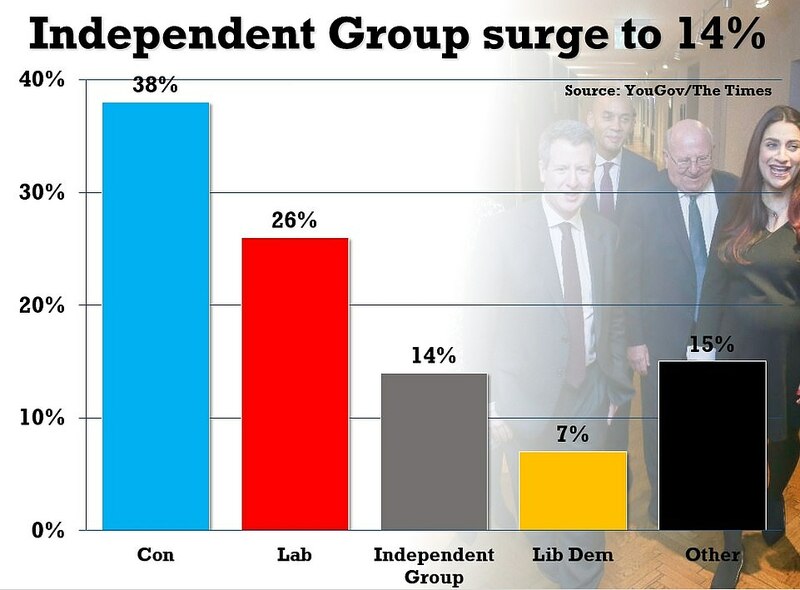 Polls in the aftermath of the group’s sensational launch suggested support of around 14 per cent – more than the Liberal Democrats. The challenge will come in how the vote is spread around the country. TIG can only win seats if it piles up votes in constituencies – meaning it could win millions of votes but few seats. Frustrated Remain supporters could flock to a new party if there was a national offer – but cutting through TV broadcast rules past the main parties has historically been very difficult in British elections. There is a new Brexit Party set up by former Ukip officials and endorsed by Nigel Farage. It is administratively more advanced than TIG – it already registered with the Electoral Commission. Both main parties will have to write a manifesto – including a position on Brexit. Both parties are deeply split – in many cases between individual MPs and their local activists. Labour has similar splits. Many of Labour’s MPs and activists want Mr Corbyn to commit to putting Brexit to a second referendum – most with a view to cancelling it. The splits set the stage for a bitter and chaotic election. The outcome is highly unpredictable – the Tories start in front but are probably more divided on the main question facing the country.